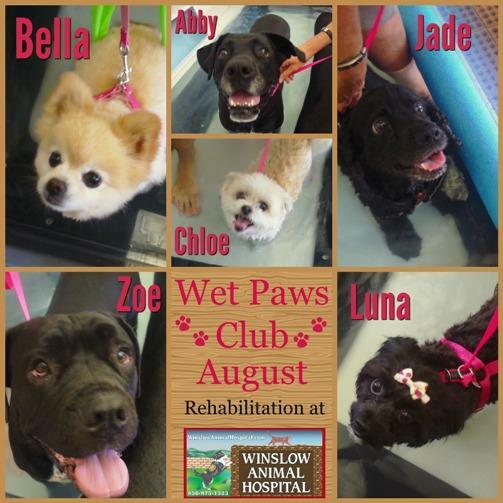 Here are the newest members of the Wet Paws Club! Congratulations to Abby, Chloe, Bella, Luna, Zoe, and Jade! The Wet Paws Club is for pets who have undergone Aquatic Treadmill Therapy at the Winslow Animal Hospital Center for Rehabilitation & Pain Management. These are some really awesome pets! LifeLearn Admin | Aquatic Therapy/Rehabilitation, What's New at Winslow Animal Hospital!